If you are fortunate enough to be born both Black and female, you will learn early that your needs will, almost never, come before those of The Community. Many within it will expect you to tote the load of White Supremacist Capitalist Patriarchy without complaint and threaten alienation and derision if you dare push back against the accepted hierarchy. In spite of this, the work of pursuing equity in how we talk about and care for Black girls and women continues. 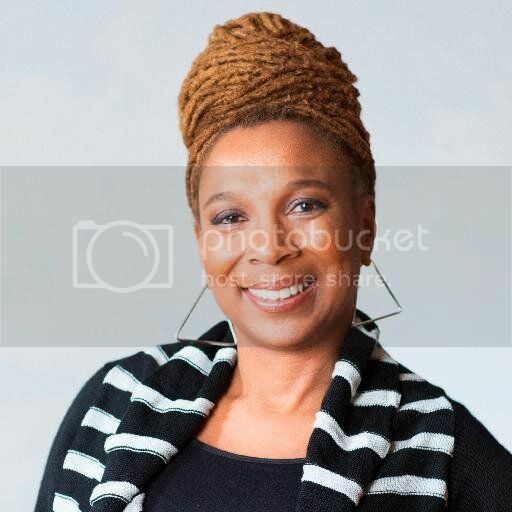 Kimberlé Crenshaw, Professor of Law at UCLA and Columbia Law School, has used her work at elite academic institutions to expand the conversation about community needs and political priorities to include those oft-overlooked. The woman who named intersectionality theory in 1989 continues this mission as co-founder of the African American Policy Forum (AAPF). This week, AAPF released a new report "Black Girls Matter: Pushed Out, Overpoliced and Underprotected." Despite overwhelming evidence to the contrary, the narrative that the "girls are alright" persists. The report, authored by Crenshaw, Jyoti Nanda and Priscilla Ocen offers an important counter to those who believe patriarchy and capitalism with solve all of the Black community's ills. I spoke with Professor Crenshaw about the report and its prescriptions for solving these old problems. Kimberly Foster: I was really excited when I saw the release of the Black Girls Matter Report. Why was it so important to release it? Kimberle Crenshaw: This report has actually been germinating for some time. My co-authors and I, Jyoti Nanda and Priscilla Ocen, began talking about some of the obstacles and risks that black women and girls face that lead them into pathways to incarceration, low wage work and general social insecurity. We noted that even people who we were working with, who were working with others who are facing some of these obstacles, or formerly incarcerated women, didn't feel comfortable talking about black women and girls in the context of mass incarceration, in the context of police abuse, and in the context of the school to prison pipeline. We knew that there was something there, that there were some experiences because women were telling us this. At the same time, there just wasn't any presence around these issues in our social agenda. We thought that it was important to raise up some of the challenges that black women and girls face, the long-term consequences of being pushed out of school, in some ways are even greater for women because the economic consequences of not having a high school diploma places them even lower in the economic stratification system. We decided we needed to pay attention to it, and importantly we wanted to hear from girls and young women themselves. This is a report that's based both on interviews and focus groups with young women who have separated from school because of push-out policies. It also looks at the wider disparity between black girls and white girls, a disparity that is ten times greater than white girls. It's also a disparity that's greater than the disparity between black boys and white boys. Kimberly: When reading through the report, I saw that the focus was primarily on girls in New York City and Boston. Was there a reason for that? Kimberle: The reason for that is basically the same reasons why there's just a paucity of research generally on women and girls of color. There's very, very limited resources to actually have an aggressive robust research agenda on women and girls of color. We were able to get enough resources from The Schott Foundation to focus on the two cities in which they are located and most active. Our hope though is that this is a demonstration of the need for this kind of research, and that we'll actually be able to see an infrastructure built around the need for black women and girls to both create information and effective policy interventions. Kimberly: As somebody who hopes to facilitate these sorts of conversations in my work all the time, I so appreciate the work that you and your co-authors did with this report. Were there any findings that you guys saw that surprised you? Kimberle: We were actually surprised at the level of the disparity. We knew from the overall data that came from the Department of Education that 12% of all black girls in school were suspended. We knew that there was a sizable disparity there. We didn't know really the magnitude of it in New York and in Boston. Ten times more--11 times more likely to be suspended--that was surprising to us. I think we were also surprised by what the girls told us. They were fully aware that many of the teachers viewed them as walking stereotypes, [and] framed them as loud and rowdy, and difficult to control. All the kinds of stereotypes about black women that lead elsewhere to over-punishment were also happening in the school system. That was surprising. Kimberly: The African American Policy Forum has for awhile been very persistent critics of My Brother's Keeper. What I've found in bringing up concerns about the absence of black women and girls from the conversation is a lot of people believe that if we fix things for black men and black boys, that will trickle down to better and improved circumstances and life chances for African American women and girls. Do you agree with that at all? What do you make of that line of thinking? Kimberle: We call that trickle down racial justice. We just don't think there's any history of showing that policy interventions that are based on a partial understanding of the problem, or 50% of the population, will necessarily address the whole population. It's not an understanding of racial justice that we've ever particularly embraced, and it doesn't really make sense for us to embrace it now. I think more specifically when we look at how policy interventions are developed, they come from assessing the data, assessing both what the target population tells us and what we can learn about how they're situated. Some of these obstacles that girls and young women face are particularly gendered. An intervention that's not based on listening to girls isn't necessarily going to address all of the obstacles they face. A case in point, we found that a lot of the girls had caretaking responsibilities, not just for their own children, but many times the burden for taking care of disabled family members, those who are chemically dependent--those who are incarcerated tended to fall on the women in the family and increasingly on the younger girls in the family. This is even more dramatic for families who don't have access to resources. You start off being a family that's been pushed out of many of the programs that once existed to constitute that social safety net. You start with families who are on the margin. They don't have the resources to call in caretakers and babysitters and folks to get younger kids to school, so it falls on the girls. That in turn compromises the girls' access to getting to school on time or to engaging in extracurricular activities. New York and Boston have not yet, thankfully, adopted this, but some states actually give girls and boys tickets for being late. If they accrue a certain number of tardy penalties, they can be arrested. One of the girls that we work with went to school, and because she had been late many times and accrued so many tickets, she was handcuffed, taken out of the classroom and taken to a juvenile facility. The interventions that are necessary have to be targeted to the kind of obstacles they face--child rearing, having to deal with sexual harassment in the school. Some girls actually have a history of abuse, so they are suffering from trauma that makes it sometimes difficult for them in the school. Sometimes school administrators see expressions of trauma as disciplinary problems. None of the programs that are not focused on that are going to be able to anticipate these kinds of obstacles and therefore create an effective intervention. Kimberly: With the cajoling of the African American Policy Forum members, of other public intellectuals and academics who have tried to push the White House to be more inclusive in some of their efforts, how well do you think that's worked? Have you seen any progress there? Kimberle: As with all social justice advocacy moments, sometimes the first evidence of having push the debate is rhetorical. We think that we've seen rhetorical efforts to say we care about women and girls too. We've seen sort of performative efforts to show that women and girls of color matter. The White House Council on Women and Girls had a symposium in November in which they presented evidence that the Obama administration was mindful of women and girls, and elevated some of their policy such as the new healthcare act as responsive to the needs of women and girls of color. Even the President himself at one point said to single moms, "We see you and we don't know how you do it." There's these rhetorical moments. The real question is, do they come with institutional commitments to doing something about it. My Brother's Keeper was created with a Presidential Memorandum, requiring various government agencies to deliver information about men and boys of color, and to think about and lift up best practices that will advance their well-being. That's not yet happened for women and girls of color. What we're looking for and continuously advocating for is concrete steps in the here and now to indicate that women and girls are as important, that there is a commitment to removing some of the obstacles that undermine their well-being, and that enhance their futures along with their male peers. Kimberly: Would you like to see completely congruent steps, or are there different sorts of steps that you'd like to see taken in favor of women and girls of color? Kimberle: I think some things obviously need to be congruent. [For example] in the collection of data about how men and boys are situated--the very process of collecting that data means you're also collecting data on women and girls. It's low hanging fruit to simply say while we're collecting data and requiring this data to be reported on men and boys, there should be reporting on women and girls. Some of the agencies have decided to do so, but they're not required to. Number one, where you're doing something that actually does easily convert to inclusion, it makes no sense not to do so. I would say more broadly that when we pursue gender exclusive programs, it should be based on information that suggests that the needs are in fact different, and that excluding one of the groups isn't excluding them from any intervention, but simply necessary to deliver the opportunity effectively to the group that's targeted. We don't really have information to tell us whether the exclusion of girls actually is necessary. Some of the data suggests that most of the argument that's made for targeting boys is data that's built on both boys and girls. If the data on girls is included in creating a picture of the problem that requires intervention, then the intervention should also include the girls as well. It just doesn't make any sense not to. That leaves us with risks that are really gender specific. As I was mentioning, the caretaking responsibilities for girls, their vulnerability to abuse, their reaction to the police in schools and to metal detectors, all these might be more gender specific, and they require us to keep that in mind when we develop the intervention. The short of it is, where we need gender specificity, of course we support it. Where the gender specificity is actually gender exclusion based on myths and stereotypes or lack of information, we just don't think that's justified. Kimberly: A few people are going to sit down and read this report in its entirety. What do you hope that they will take away from it? I'm imagining non-academic people, maybe, who don't consider themselves to be activists. What do you hope that the average person would take away from these findings? Kimberle: I hope first of all the average person takes away that racial discrimination is a problem for women as well as men. We're not junior partners in the project of seeking racial justice. If folks come away with a strong sense of the fact that black women are subject to aggression, punishment, a whole range of stereotypes that undermine their futures and well-being, and ought to be included in all of our efforts to achieve racial justice, that would be a marvelous outcome. I think that the second thing is that we want people to be aware that there is a need for public space to be dedicated to listening to girls and women. Many people, when they think who is the subject of racial discrimination, what are some of the issues that they face, they can generate some pretty traditional ones, but they wouldn't be able to tell you childcare and other responsibilities on girls actually undermine their futures. They wouldn't be able to say how sexual harassment in schools, or a history of abuse or trauma, actually leads many young women into the juvenile justice system. There are different pathways into incarceration. They're not all police roving on the street, and they're equally devastating to those lives that it destroys. If we can broaden our vision of what racial injustice looks like, if we can actually say here are some of the examples, these are the ways that women experience it, then that would be a wonderful outcome. It creates the political will to demand for more. Kimberly: Let's say that after reading this report, they are absolutely convinced that we have to do some work on behalf of black girls. What can we do in our communities to address these specific needs? How can we work towards change? Kimberle: One of the most important things that we have been partnering with local groups to do over the course of the last year is to actually gather stakeholders, policy makers, decision makers, teachers, family members to come together to actually spend the time to listen to girls and young women give them the particulars of the obstacles that in their lives. It's one thing to have an abstract commitment we've got to do better. It's another thing to know precisely where we have to do better, precisely where we have to put pressure to seek policy changes, and to broaden our racial justice vision of what needs to happen. What we hope to see over the course of the next year and a half is city after city after city convening these important conversations so that policy makers know what the expectations of the community are, so families and advocates know what the girls need, and so girls know that when they speak someone is there to listen. Creating the public will is probably I think the most important first step in any kind of movement for inclusion. I would say the second thing is that, as we roll out some of the programs and policies for men and boys, people need to be empowered to say and what's going to happen here for the girls and the women. They need not be shy about going to some of the hearings that are now being held as cities sign on to My Brother's Keeper challenge, and to say, I support my son and I support my daughter. I want to know how these programs are going to advance my daughters, [and] how they're going to make their lives better. Lastly, they really need to show that it matters. We need to ask our politicians and elected officials, what are you doing for girls and women in our community and not accept this idea that we're so resilient that we can afford to wait until we get trickle down racial justice. While we're waiting, girls' lives are being undermined, women are dying, [and] they're being incarcerated. To say that we're resilient just is another way of saying that our struggles don't matter. We're well too long into the 21st Century to be able to adopt this idea that we're going to wait. It's a wait that's turned out to be forever. I think many people are at the point where they're saying the wait has been long enough.